HOT Lunch Menu for this week! 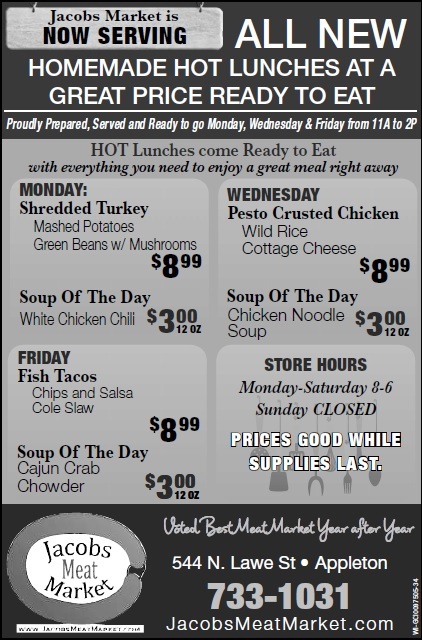 Come in and enjoy a delicious, wholesome HOT Lunch. Monday, Wednesday and Friday from 11-2.